I sometimes remind others – in a voice equally serious and playful – that for the Jewish people there are three fundamental endeavours: prayer, learning and food. After all, what Torah Study session worthy of its name ever lacked a table adorned with coffee, bagels, fruit and other refreshments? Prayer, learning and food: each is a key to Jewish endurance. It is with an ease acquired over millennia that we transition from one to the next. Our sages then – in their ingenuity – formulated the prohibition of combining dairy and meat to reinforce the concepts of kindness, honour and compassion; and in the best of all possible worlds, turn food preparation and consumption into sacred occasions. After all, where in our homes do we most frequently congregate? To where are our guests most commonly drawn? Within which spaces do some of our most meaningful conversations occur? None other than our kitchens and dining rooms. By extension, our Jewish approach to eating encourages us to select foods judiciously, with an eye to balance, and with a stress laid more on what we need than what we want. Our food and our Judaism. How beautiful that our tradition offers us the ways and means of elevating and loving both. Recently, my family and I watched the film Sully starring Tom Hanks, and centering on the extraordinary emergency landing of a U.S. Airways plane on the Hudson River of New York City in 2009. The film revived my own memories of the event, and recalled the accompanying wonder and awe experienced throughout the world at how all 155 passengers and crew survived. Reinforcing the miraculous nature of the occurrence, editorial cartoonist Rex Babin of The Sacramento Bee newspaper created the inspiring image of two enormous hands reaching down from the sky and gently supporting the plane’s wings as passengers and crew emerge and make their way to safety. Miracles do happen: persons who survive terrible cycling, auto, train, airline and recreational accidents; who emerge healed from life-threatening illnesses; and who are rescued from what is otherwise certain death at the hands of those intent on doing them harm. We have all seen such miracles unfold. They are never beyond the realm of possibility. Writing these words, I am also preparing for Shabbat Shemot – the opening of the Torah’s Book of Exodus. Here is our very own Jewish story about miracles: the miraculous departure of our ancestors from centuries of oppressive servitude in Egypt, and the miraculous beginning of our peoplehood – not long after – with God, Moses and the Torah at Mount Sinai. These are our seminal Jewish moments; they define who we are. From a Jewish standpoint, the Exodus narrative is arguably the most miraculous of all time. And the miracle – as it pertains to us, the Jewish people – continues. It continues whenever we assemble to observe and celebrate a holiday and festival, whenever we are present for a lifecycle event, whenever we partake in Jewish learning, whenever we attend a social event, and whenever we act in support of our youth, and whenever we fulfill an act of tzedakah. The foregoing require no over and above acts of strength or heroism, no special skills or gifts, nor any measure of material wealth. All they require is dedication to Judaism and community, love and caring for others, and an unshakeable belief in miracles. As we journey into the year 2019 let us – the Temple Shalom community – endeavour to sustain the miracle of Jewish living: attend our musical, spiritually uplifting and dynamic Kabbalat/Erev Shabbat services; sample our intellectually and emotionally intriguing Shabbat morning Torah Study sessions. Be present for a relaxing Saturday evening learning and social program – and stay for havdalah! Offer your time and resources to the Temple’s caring community – responding to the needs of those who are homebound, hospitalized or who will be simply thankful for your comforting presence. Accompany your children to our special Junior Congregation Shabbat services, and ensure that they are enrolled in our enriching Irma Penn School of Jewish Learning. And encourage our adolescent members to partake in our fulfilling array of Temple Youth Group activities. The story of Temple Shalom – and of K’lal Yisrael, the Jewish people in their entirety – is ongoing. It is ours to write, and ours to celebrate. It is a story of love and devotion; a story of resilience and survival; and as what will no doubt unfold in 2019 and beyond – a story about miracles. Rabbis, Cantors and all Jewish professionals have a special fondness for the Hebrew month of Cheshvan. Following a period [the preceding month of Tishrei] of intense activity – Rosh Hashanah, Yom Kippur, Sukkot and Simchat Torah with their requisite worship services and accompanying learning and social programs, Cheshvan offers a measure of respite, to reflect on the Yom Tov experiences while envisioning another year of equally-rewarding life within our Temple and community. The post-Tishrei lull however, is a brief one. It’s not long after having replaced Yom Tov’s white Torah covers with the rest-of-the-year’s multi-coloured ones that we resume planning for Shabbat, schedule and engage in adult and youth programming, and resume attending to our Religious and Hebrew schools. Pastoral work continues, in addition to involvement with the larger Jewish and non-Jewish communities of Winnipeg. Everyone, not only Jewish professionals, is beckoned. Notwithstanding the ‘down time’ of Cheshvan, we do not pause in our commitment to perpetuating Jewish life. We take no holidays from our Judaism. That being understood, during the coming year, we of Temple Shalom can anticipate the continuation of dynamic Shabbat services guided by dedicated laypersons, Cantor Len Udow, Janet Pelletier Goetze, guest musicians and myself. We can look forward to the ongoing learning and questioning that imbue Shabbat morning Torah Study. We can look forward to rewarding adult programming taking place Saturday evenings and – on occasion –Sunday mornings and afternoons. We can look forward to specially-planned worship, learning and social programs the aim of which are to enhance the emotional, intellectual and spiritual life of our children and youth. We can look forward to welcoming those who are Jewish by choice. We can look forward to welcoming visitors of all faiths, cultures, sexual identities and socio-economic conditions who cross our sacred threshold with open hearts, minds and in the spirit of respect. Such welcoming is fundamental to who we are as Jews and a congregational community. And the opportunity to participate in the welcoming, facilitate the programming, and assume leadership in the life of Temple Shalom is open to every member of our congregation. We invite everyone’s ideas, skills and resources. Speak with our Temple board members and speak with me. Everything happens when you take that first step. Neither however, must we overlook, discount, nor avoid responding to what is occurring politically and socially – here in Canada, within the United States, in our Jewish homeland of Israel, and throughout the world. Frequently, the information we receive is heartbreaking. Regress, rather than progress, is pervasive. With some exceptions, the efforts of our elected officials continue to let us down. And whatever occurs at a distance inevitably affects us here. In response then, may we continue to be informed; listen and be heard; involve ourselves in the fulfilling work of Temple and community; and demand the highest ethical behavior of ourselves, those we care for, and those who purport to lead us. Social justice and tikkun olam – repairing the world – define our view of life. Optimism is hard work, and the uncertainty is, at times, overwhelming. But there is still good news; let us all try harder to create it. Family, Temple, community, and our world. In Cheshvan and beyond, let us continue to answer the call of what beckons us. As I write these words, there is a week remaining for the summer of 2018. It’s my sincere hope that all the members of Temple Shalom have experienced a time of rest, rejuvenation and good health in the company of family, friends and community. During July and August, my family and I took brief but rewarding driving trips to other parts of Ontario. On Shabbat mornings I led worship at Am Shalom Congregation in Barrie, Ontario. There have been good books to read, films to see and restaurants to discover. For Deborah and I there was our thirtieth marriage anniversary! And there has been time spent connecting with Temple Shalom and preparing for the upcoming High Holy Days. Looking back, it has been a summer to be thankful for. And looking ahead, we of Temple Shalom have as much if not more to anticipate with excitement and gratitude. We can look forward to enhancing evenings and days together embracing the new Jewish year 5779. It will be a period for renewing our commitment to the God of Israel, our Judaism and one another. It will be an occasion for intellectual, emotional and spiritual growth. Together, we will share our aspirations for the year to come. I urge everyone to circle the Rosh Hashanah and Yom Kippur dates on their calendars, and plan to be at Temple Shalom with those you care about – and who care about you. We can look forward to Shabbat at the Temple on Friday evenings – imbued as they are with music, song, prayers, blessings and good company. As Jews, it is the most rewarding and sacred time of our week. As well, we will be welcoming the special Junior Congregation Shabbat services guided by and incorporating our Temple Youth. We can look forward to a new year of Jewish study: I cannot overstate the long-term value of Jewish education – for the young and the younger. It is so important that our children learn; it so vital that they are spending quality time in our Temple Shalom building that is, after all, a home away home. We are blessed at the Temple with gifted teachers and a devoted volunteer leadership. The new Jewish year also implies a renewal of study opportunities for adults: Shabbat morning Torah Study and an array of weekend programs. Please take advantage of these endeavours! Learning of this nature will enlarge your world-view and draw you closer to one another as a congregational community. We can look forward to social activities at the Temple and elsewhere. Good meals, conversation and opportunities for catching up. Such gatherings serve to strengthen us even further as a community dedicated to perpetuating Jewish life – and Reform Jewish life in particular. And we can look forward to time in the company of others with whom we share lives of purpose in Winnipeg: those in the larger Jewish community of our city, as well as the different faith groups, ethnicities and cultures who are our partners in building a better city. To reiterate: it’s my wish that we may all look back on a summer well-spent, while looking ahead to a year brimming with possibilities. Let us make it happen, together. An early Shanah Tovah, and see you soon at the Temple. Now that summer is here, many persons have – either in their minds, by way of cell phone ‘note’ apps or, for the throwbacks among us, written down on paper – a bucket list of goals to check off prior to the arrival of September. What follows is, as I see it, a list of aspirations we might strive to fulfill during the time of year most-associated with reflection, relaxation and rejuvenation. Read a few good books. Try to strike a balance between fiction and non-fiction; and include at least one or more that is of Jewish subject matter. Go OUT and see a movie. Don’t settle for pay-TV when being outdoors is such a pleasure. Enjoy the wide screen, popcorn and excitement of a darkened theatre – all of which are hard to replicate at home! And, like the books you’ll read, aim for a balance between comedy and drama, Hollywood features and the more independent, thought-provoking ‘smaller’ films. Take in the Winnipeg culture: visit the museums and galleries, attend a music festival or see a play. All of these enrich the life of our city. And all enrich our souls. Travel out of the city. Visit the lake, if only for a day. Head west to Saskatchewan, east to Ontario, north to the more-remote but no less picturesque regions of Manitoba or south to North Dakota. As Winnipegers, you’ll agree that July and August are perhaps the most-amenable of months – weather-wise – for a driving trip. 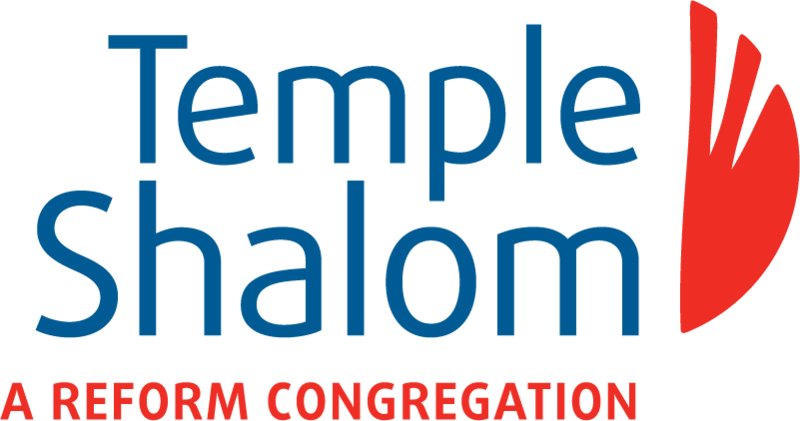 Attend – as often as you are able – the Friday Kabbalat/Erev Shabbat services at Temple Shalom. And owing to the earlier summer hour that they are held, make dinner plans afterward with your fellow-congregants. It’s a great way to stay connected to the Temple, your Judaism and one another. Devote thought as to how you can be more involved in congregational life during the coming year. Consider the skills, gifts and resources that are yours to share. There are always projects that welcome your participation. Reflect upon how – together – we can assure Temple Shalom’s ongoing growth, development and esteemed role in the larger Winnipeg community. SERIOUSLY think about joining the Temple Shalom trip to Israel planned for April of 2019. A number of Temple members are already committed to this exciting opportunity and there are openings for more. Whether it is your first trip or fortieth, traveling to Israel is a life-changing experience. Please be in touch with Ruth Livingston or me [Rabbi Tepper] for details. Think about Judaism’s concern with social justice, and where you fit in. What are the issues that we must be responding to? How can we as a Jewish community make a difference in the lives of others? And stay in touch with me. I pledge to do the same. Summer goes by quickly. Let’s try to make the most of it. My best wishes to everyone, for health, peace and rewarding times in the company of those you care for, and who care for you. And see you in September at the Temple. Now as always, we Jews are journeying: from Egypt and servitude, towards a Promised Land and people hood, and towards the healing of our world. And we are always on the path towards Torah. On the evening of May 19 Jews everywhere will welcome the Festival of Shavuot, meaning ‘weeks;’ or more precisely, the ‘seven weeks’ since our departure in the Torah’s Book of Exodus – on Pesach – from Egypt. It is during Shavuot that we recall the pivotal moment in our Jewish narrative when we stood together at the foot of Mount Sinai, celebrating the journey towards our embrace of Torah. Torah is the foundation-stone of Judaism. It tells our stories and shapes our view of the world. It is our Jewish point of reference. It is with excitement that we welcome our reading and recitation of the weekly parshah, from which we continue to learn valuable life lessons. And as Reform Jews, we of Temple Shalom, together with our sister congregations throughout the world, turn to Torah so that we may better understand not only the experiences of our ancestors, but how to best engage the tumultuous and evolving world we inhabit today. It is in this regard that Torah sustains us. But Torah does not provide the answer to every dilemma. Torah cannot explain why there is war, poverty and hatred, or why persons are ill and injured. Torah does not reveal why innocent people die: in acts of terrorism or natural disasters, onboard a bus in Humboldt, Saskatchewan, or during a spring day on Yonge Street in Toronto. Torah provides little or no clues as to why there are both good persons and evil ones. But Torah does call on us to choose: compassion over contempt, kindness over cruelty, and life over death. Torah is still, notwithstanding the infinite number of questions it poses – and that we as learners always welcome – Judaism’s pathway towards emotional, spiritual and ethical growth. On the evening of May 19, we at Temple Shalom will enjoy a Tikkun Leyl Shavuot, the traditional gathering for learning, socializing and partaking in delicious foods with which Jews welcome Shavuot. Please plan to attend this most-special experience. I look forward to being with you. A young man was asked by the Gerer Rabbi if he had learned Torah. “Just a little,” replied the youth. “That is all anyone has ever learned of the Torah,” was the Rabbi’s answer. In the year to come, let us continue to grow and learn with Torah, and among one another. There is everything in the world to gain. It’s no coincidence that Purim and Pesach occur just one month [or as our Jewish calendar teaches, ‘one moon’] apart. Both holidays celebrate the freedom of the Jewish people to live lives guided by the laws, traditions and ethical benchmarks gifted to us by our ancestors and the God of Israel. Purim is a reminder of our determination to experience freedom and prosperity in the Diaspora; that is, while living within an overwhelmingly larger non-Jewish population. Pesach, with its ritual seder meal and recitation of the haggadah, signifies our collective remembrance of the Exodus story: the pivotal journey from slavery in Egypt to freedom in the Promised Land that is the touchstone of our millennia-long Jewish narrative. But as history tragically informs us, the struggle for freedom did not end with our leaving-taking of Egypt, nor through the heroic efforts of Queen Esther and Mordechai in Persia. Greek and Roman dynasties put Jewish freedom to the test. In medieval Europe Jews suffered relentless oppression. Successive Russian and other European rulers placed Jewish communities under fear and duress. In the 1970s and ‘80s Jews in the Soviet Union suffered severe constraints, including the prohibition on travel. And though the transition of Jewish life from Europe to North America resulted in unimagined success and far-greater religious liberties, such fortune was – and remains to this day – darkened by the plague of anti-semitism. Nevertheless, there is an abundance of freedom for which we are constantly thankful: to vote, travel, educate ourselves, work at vocations and reside in communities of our choosing; to establish beautiful and vibrant synagogues and Temples, dynamic Jewish community and cultural centers, religious schools – both full-day and supplementary; to succeed in every walk of life, while contributing to the success of our larger non-Jewish communities; and, with love and pride look upon our Jewish homeland of Israel. Freedom from the deprivation and need that flows from economic and social imbalances. Freedom from ignorance and indifference as they pertain to the experiences of Canada’s indigenous persons, along with members of all faith, ethnic and cultural groups with whom we share life in our country. Freedom from xenophobia: the groundless fear of our peace-loving fellow citizens whose view of life just happens to differ from yours and mine. Freedom from the insecurity brought on by violence, terror and an obsessive gun culture. And: decades after World War II and the Holocaust, freedom from the wounds, injuries and sickness that flow from anti-semitism. On Purim and Pesach we are grateful for the religious liberty that imbues our lives. But may these sacred days serve as clarion calls, inspiring us in our never-ending quest for freedom – both ours and all with whom we share loving membership in the human family. I too hurry to the Temple: to teach, learn, pray and bless; meet with congregants young and younger; and to share in occasions both grievous and joyful. As our Prophet Hosea instructed, I hurry to encounter God and be in the company of my fellow Jews and our Judaism. In the years preceding rabbinical school I hurried to be present at my family’s Temple, where I directed community theatre productions, studied with and taught others, before embarking upon the path towards becoming – inspired as I continue to be by my own rabbis – a spiritual leader myself. The Temple is a centrality of Jewish life. It is where our traditions and rituals are celebrated. It is where lives are honoured. It is where Torah is embraced. It is where past, present and future meet. Having commenced a new year, let us – the members of Temple Shalom – resolve to follow through upon renewed hopes, and a renewed commitment to the life of our congregation. Let us, each according to his or her skills and gifts, partner in the enhancement of this sacred community. Let us amplify the esteem with which Temple Shalom is held in Winnipeg’s Jewish and larger non-Jewish communities. There is much we can do: participate in adult study, contribute to the Irma Penn School of Jewish Learning, support our Temple Youth Group, organize a social event, serve on a congregational committee, engage in a social justice project, or join the caring community – attending to the needs of those homebound and hospitalized. Please feel free to speak with me about these and other endeavours. This is what Temple life, and belonging, are all about. What better time then, to be a part of ten – and so many more? What better time to involve oneself in Temple Shalom’s dynamic life? What better time to beautify Temple Shalom, and our holy community? And what better time to hurry – alongside those we care for and who care for us as well – to God, Judaism and our Temple. Ken Y’hi Ratzon. May it be God’s will. I sometimes wonder how I would fill my days were I to be hospitalized or homebound due to illness or injury. I’d read a lot of books and newspapers, catch-up on email and watch Netflix on my laptop. I might take up assembling model cars. As well, I’d likely sleep – or slumber – a good deal more than usual. And I would welcome visitors who arrive to spend time with me. Of all the activity undertaken while bed-ridden, greeting visitors would – arguably – be most vital to my healing. It would allow me to connect with the ‘healthy’ world. I would remain up-to-date on life beyond hospital or home. The visits would provide the incentive to recover as promptly as possible and resume the normal routine of my life. And in keeping with our Jewish view of the world, I would be gifting those who visit the knowledge that she/he has fulfilled the mitzvah, and among the most important of middot – Jewish values: bikkur cholim – visiting the ill and injured. In Bereshit – the Torah’s Book of Genesis – and as interpreted by our rabbinic sages of the Talmud [Sotah 14a and Bava Metzia 86b], we learn bikkur cholim through the example set by God, who visits our ancestor Abraham as he recovers from b’rit milah – the covenant of circumcision. Also in the Talmud [Nedarim 39b] we are taught that one who engages in bikkur cholim has the capacity to remove one-sixtieth of a patient’s illness. And according to the great Jewish philosopher – and physician – Maimonides, ‘one who visits the ill is considered to have taken away a portion of his or her illness, thus rendering the illness [or injury] less severe.’ [Laws of Mourning 14:4] Simply put, to visit one who is ill or injured is to be a blessed presence. If they were able, rabbis would spend all their waking hours visiting those in need of healing. But because we must respond to an array of congregational and communal tasks, we look to a corps of committed laypersons with whom to share the mitzvah of bikkur cholim. We are reaching out then to Temple Shalom members with time, energy and desire to make a difference in the lives of those who have been rendered vulnerable and will welcome the blessed presence of visitors. Compassion is a trait that covers a multitude of moral and honorable qualities. Someone who is compassionate is empathic, caring, and loving…in the Jewish heritage, action is primary; thus compassion must include a strong component of reaching out and doing concrete acts of caring and helping, not just feeling good thoughts in the heart [p. 16]. In the coming months, I [Rabbi Bill S. Tepper] along with Temple Shalom lay leaders and health professionals, will endeavour to conduct a workshop the purpose of which will be to guide others towards becoming part of a bikkur cholim team. An abundance of resources are available to us. We will explore the what, when, who, where and how of this valued task. We will organize ourselves. We will make a difference. And we will be a blessed presence. As I write these words, the temperature outdoors is cooler, stores are holding back-to-school sales, and I am into High Holy Day preparation – all signs that the summer days of 2017 and 5777 are nearing their conclusion. Challenges and difficulties among us remain; ideally however, we can look back on a summer of rest and enjoyment in the company of family, friends and colleagues. The road ahead – the new Jewish year 5778 – is one of promise; promise that we must ensure comes to pass. The High Holy Days, beginning with Erev Rosh Hashanah on September 20, will be a time of reflection, emotion and the gathering of our Jewish community in hope and inspiration. We will renew our devotion to the God of Israel, Torah and Jewish living. And we will pledge ourselves to taking care of one another. We will begin our annual observance of the Jewish calendar. How blessed we are to possess not only the January-December calendar, but one incorporating our special days: Sukkot, Simchat Torah, Hanukkah and all those that follow. May we continue to imbue these sacred times with the spirit of which they are deserving. We will continue to learn from and teach one another: involving ourselves and our children in the array of Jewish educational opportunities at Temple Shalom and the larger community. We will commit ourselves to lifelong learning. In this way, we become better Jews and better persons, as we facilitate the unfolding of a better world. We will take a compassionate interest in other people’s lives. We will visit the homebound and hospitalized. We will assist those in need of meals and/or transportation. We will make phone calls and send emails. We will endeavour – to the best of our ability – to ensuring that none in our community are overlooked. This is hesed – kindness – in its purest and holiest form. We will join together for Jewish lifecycle events: the naming of children, Bat and Bar Mitzvah, Conversions to Judaism, marriages and funerals. We will celebrate when we must and grieve when required. We will be present for both moments of joy and sadness. We will schedule our time accordingly – irrespective of last-minute adjustments – assuring fellow members of our community that we are with them when needed. We will participate in the life of the Temple – and larger Jewish community as well. We will strive to be present for worship, learning, and socializing, volunteering our bounty of skills and gifts for the good of congregational and communal life, while creating new and lasting friendships as we do so. All contributions – large and larger – will be valued. We will be forgiving – of others and ourselves. And in keeping with Judaism’s Golden Rule: we will love our others, as we do ourselves. It is a good road ahead. And beginning with Rosh Hashanah, we will undertake to travel it together.